Hello I am a student interested in getting my first porsche and in my limited budgets a 914 has caught my eye. My wife thinks it's cute so I got the ok. But I looked into a quarter mile calculator and at a generous 95 hp for a 1974 2.0 and ~ 2300 lbs with me (175 6'2") a quarter mile calculator gave me an estimated 19+ seconds that seems slow. I put the 190 hp and 3800 lbs for her jeep grand cherokee sport and it said 16.7 s. Not that I'm trying to drag race this thing, but I want it to feel fast, peppy, fun when I'm driving around town and then have some fun with it on the track or auto cross. So my question is will a 914 feel fast or will it always feel like it's dragging? My 914 doesn't feel like it's dragging. It feels peppy, and i've got a 1.7L early 1970. However, by today's standards it's a slug. You can do modifications and squeeze more out. But where they really shine is driving experience and handling. There is something about their bare simplicity that makes them insane amounts of fun to drive. No power brakes, no power steering, no abs, none of the crap of a modern day car. All dependent on the driver. Yes, it is only about 100HP, but it also only weighs about 2,000 lbs. It's a grown-up street legal Go-Cart. Just make sure you have some twisties to drive and you won't be able to wipe the grin off your face. You need to be able to wrench on the car. 914s are now 35-40 years old. Shops are not familiar with them and sometimes will charge you a fortune just to screw them up worse than when you took them there. Buy the best car you can afford. Get a PPI done on the car. There are common rust areas that if bad are terminal either to the car or your wallet. The 914 exclusive Forums can help you on both of these areas. for that reason, i don't think the 914 would be a good daily driver. you say that you are a student....so i'm going to assume that you probably won't have much budgeted for this car. i'd say wait a bit longer so you can afford something. i have nothing against the 914, but it would be terrible to see it just sitting in the garage because you can't afford to repair it. That is a good point Stephen. My car was in great shape and had some updates done but was mostly all original. Within a short period of time my brakes failed and it caught on fire. I got it repaired... but it cost me a pretty penny to fix her up again. It won't feel sluggish at all as a daily driver. As with any 35 year old car, things will break, but these cars are easy to work on and fairly cheap to work on. Get one and soon you will have a back yard full of parts cars just like every other 914 fanatic. Ha, thats the truth Lane... And I agree, as long as you aren't scared to get your hands dirty they are a blast to own and a great way to get you started in the classic car world. Don't kid yourself though... a 500 dollar honda would be a wise investment if you plan to DD the Porsche! And don't worry about straight line numbers, you'll be taking the B roads everywhere! Last edited by racerbvd; 09-08-2010 at 08:47 PM. A properly tuned stock 2.0 L car (1973/74) does 0-60 in 10.2 sec. Not fast but still better than the 1977 924 which replaced the 914 in 1977 (0-60 in 12.5 sec!). Today's hot hatches Mazda 3, VW GTi, Toyota Corolla, Nissan Sentra all do 0-60 in 7 sec or less. But the 914 is much better balanced and rear wheel drive mid-engine exotic with best handling of the bunch for the price. I had one when I was a student at Caltech in 1979. Taught me how to change the clutch, work on the car myself (couldn't afford to have dealer or anyone else do work for me! ), saved a ton of money. Paid $6000 for it and 60,000 miles later I got back $5820 when it was totaled in an accident. Best and cheapest bargain ride ever! Thanks guys, I am definitely not afraid to get my hands dirty, and I do want a good car to get started with. Something that will be easy enough to work on and will be rewarding to drive. The one 914 on my local craigslist looks like a total junker (but what a bargain!) and rust kinda worries me since I have no idea how to weld and don't really know how to handle rust. I haven't seen the 914 yet, what would you say is a deal breaker? You will have to post pix for us to say, bit in the age of i-Phones & Droids, you can send pix while looking at the car & get answers right away.. I haven't seen the 914 yet, what would you say is a deal breaker? I would say the usaul deal breaker for me is bad rust under the battery tray. The tray itself is pretty easy to replace. It gets pretty difficult though when there is a rust hole in the lowest corner of that area as the suspension pick-ups are right under that area. If the rust has pennetrated that area you may have a lot of work to do. Hope that makes sense. Notwithstanding all the well intentioned advice here, you might want to reconsider. As one whose first Porsche was a 914 some 30 years ago I can attest to the fact that you will be working on it or having it worked on regularly. As a student you likely can't afford the maintenance and compared to modern cars it is a slug, just a slug that handles really well. Any of the econo boxes on the road today will blow the doors of a stock 914. While you're in school get something reliable and fun, like an MR2, you'll have the handling and more pep than a 914, and the reliability of a Toyota. Even an older Miata will outrun a 914 and you can pick up a very good one with working AC for 2-3k. Once you're out of school and have a good steady income, buy a 911 as your first Porsche, because you will get addicted. You just need to be able to afford the addiction. I don't think a $2-3K Miata or MR2 can hold its value to a 914 that is without serious rust issues. 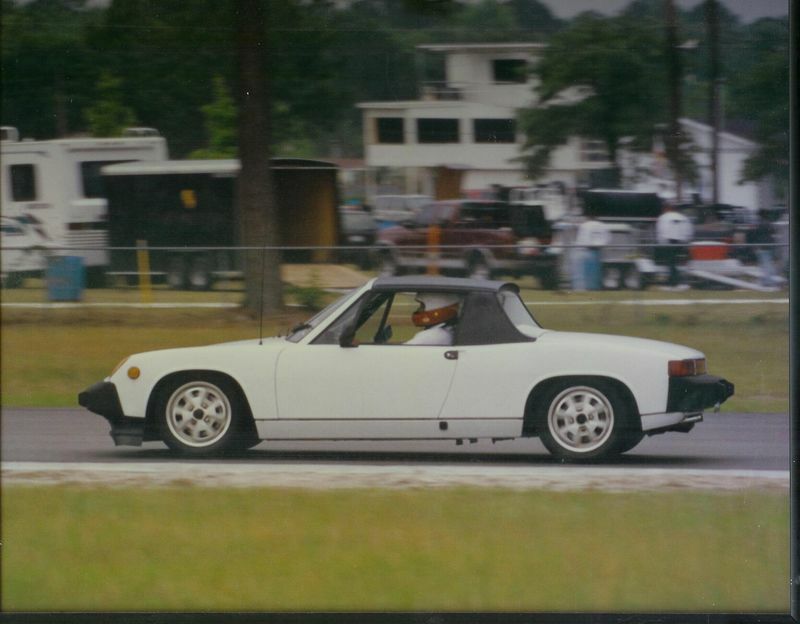 A 914 is still a Porsche with rich history of offering sporty and fun to drive addictive cars. A nice example still costs $12K whereas after you restore the Miata or MR2 it will not be worth $12K.